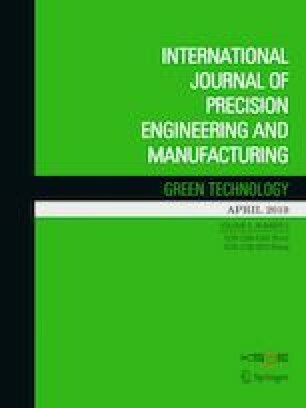 A novel approach of three-linear-axis ultra-precision grinding with wheel path generation, tool interference checking and profile compensation is proposed and systematically investigated for fabricating aspheric surfaces. The performance of the proposed techniques is evaluated by grinding an aspheric mould insert on bindless tungsten carbide. The experimental results demonstrate that the profile error can be reduced to 0.1 μm or a lower value in peak to valley (PV) after two compensation cycles. The on-machine measurement results show agreement with the off-machine measurement results when commercially available profilometers are employed. The study confirms the feasibility of the proposed wheel path determination method and the developed profile compensation approach. A mirror surface with roughness less than 8 nm in Sa is achieved. The authors appreciate the supports of the National Natural Science Foundation (Grant nos. 61635008, 51320105009 and 91423101), the National Key Research and Development Program (Grant no. 2016YFB1102200), and the ‘111’ project by the State Administration of Foreign Experts Affairs and the Ministry of Education of China (Grant no. B07014).